Open a project that we have made in 008. 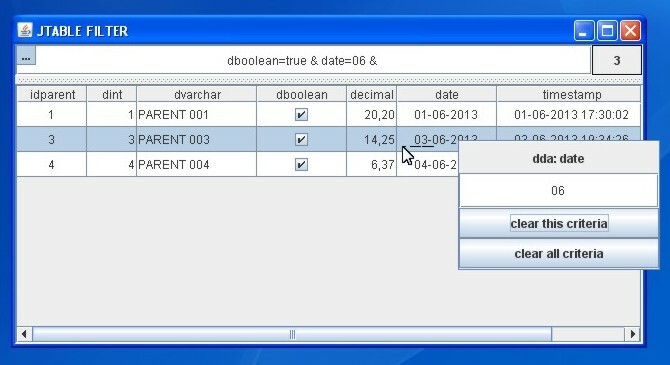 Add Database to JTable (JTable Part 1) and do a modification. Add container JPanel, and put on Top JSplitpane. Move table to Bottom JSplitpane. If TopSplitpane disappear, then resize the dividerLocation, for example to 31. 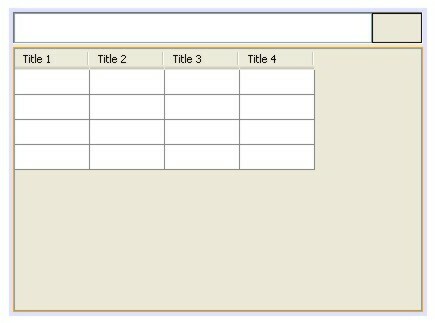 Add JTextField (have to) to JPanel, named=txSearch, set horizontalAlignment = CENTER, set Text property to be empty. Try it by type some character in txSearch. 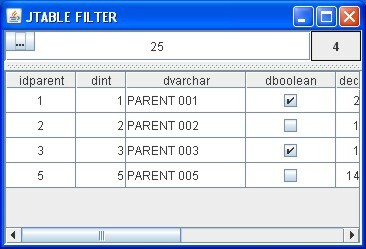 It will filter for all column. Just click the button inside txSearch. Click a row on certain column, then right click. Try to add criteria by click on the other column, then right click. To display the criteria that we have made, doubleclick the txSearch. Click the button to switch to all column mode.